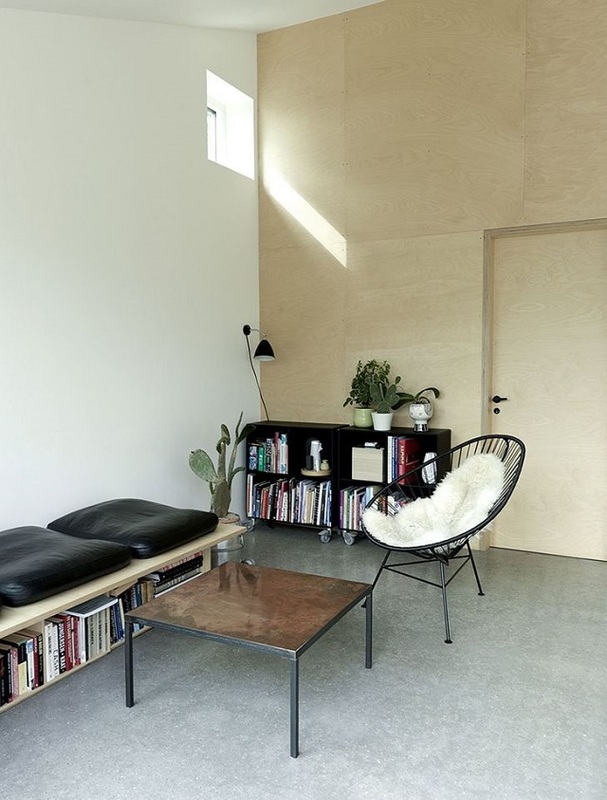 So, if January is leaving you feeling heavy-hearted, here is a minimalistic home to inspire you to clear that thick layer of clutter ballast. 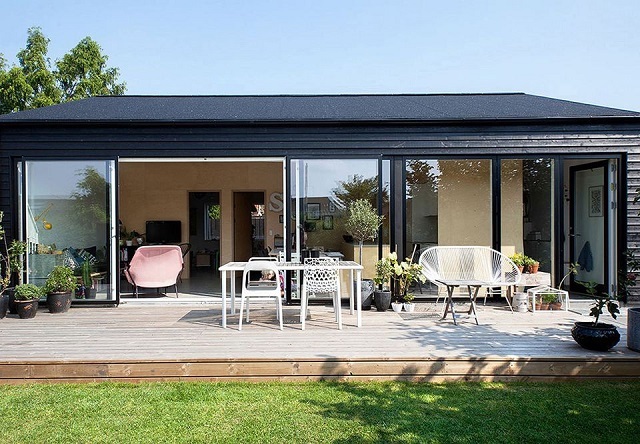 This home in Copenhagen, Denmark has so many features to inspire: clean walls, mismatched furniture, cool lighting (again mismatched), energising greenery, wall art (quirky but not overpowering), books both useful and decorative and simple outdoor space. Nothing ostentatiously iconic, just a small home in which to breathe, eat, sit, read and be. 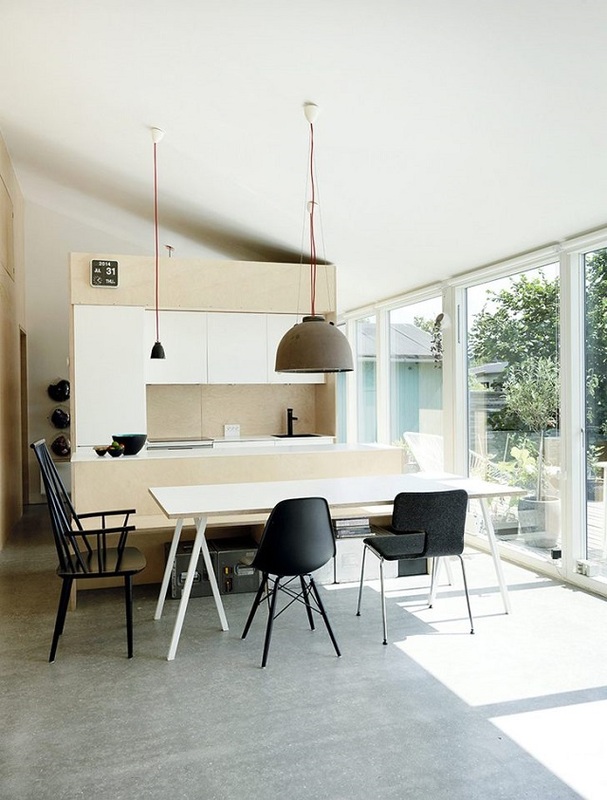 A house that is not immaculate but provides perfect inspiration. 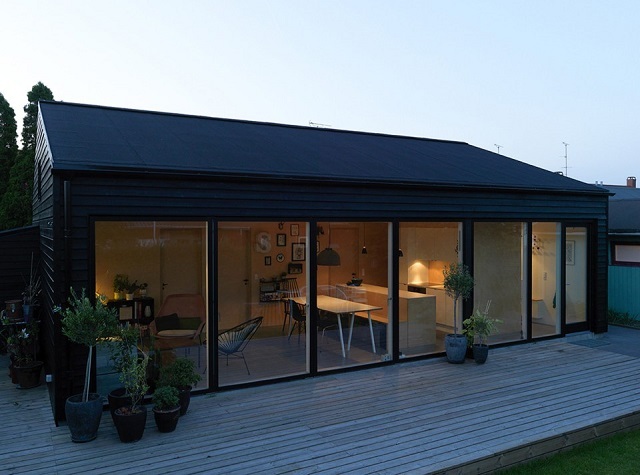 Go and have a look at Sorte Hus from architects Sigurd Larsen here. Yes! Isn't this what makes it homely and personal - in a minimalistic way? Maybe it is me , and I think there is definitely a balance to make, but somehow this seems overly sparse and a bit soul less ? I love simple, clean, and pretty! Thanks for sharing, Claire! That is gorgeous; I would just add a kettle, a bowl of apples, and a cat! I love the look of simplicity, space and the feeling of cleanliness. This is what I'm aiming for, perhaps not as minimalist as the photos though. Am a new reader of Claire's blog and it has inspired me to move forwards and sort the house out but am really struggling at the moment with all our stuff collected over 25 years of marriage and 3 children! It's a house to swoon over isn't it. I rather like those low bookcases on casters I must say. Yes Claire this house looks wonderful and reminds me of our Danish cousins homes. A quote I love: "A room without a book in it has no soul ." I really love the outdoor decking. It seems so open and unrestricted, great for parties in the warm weather. This is lovely and I long for such a space. I am doing my usual January declutter with limited success. Have you heard of Marie Kondo? Her book sounds interesting and helpful for those like me who never seem to get on top of the problem because of emotional attachment to stuff. www.delicatusinc.com Offer quotes to your prospect so you have an idea of ​​how much you will be charged for cleaning your home. In case you're getting ready to move your home, you'll need to make certain to get as much as possible from the deal. That is extraordinary inspiration for some home improvement ventures.